• The "Bet One" button allows you to start at one, then increase the amount of that bet manually and incrementally. • The "Bet Max" will automatically bring you to the maximum bet. • You click "Deal" to get five cards, face-up. • You click on the cards you don't want to keep, then click "Draw." 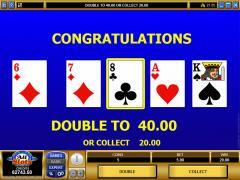 • When you win a hand, you can elect to "Collect" the amount of that win, or "Double" it for the next hand. • The Increase (+) and Decrease (-) buttons affect a change in the coin size that is wagered. • Total Bet = Number of coins X Coin Size. 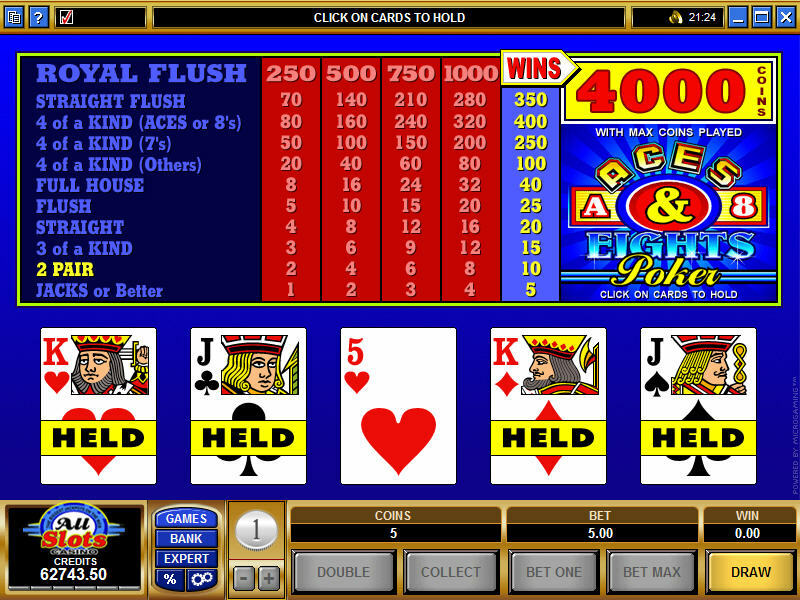 • The Royal Flush is the Ten, Jack, Queen, Ten and Ace of the same suit. • A Full House consists of three cards of one denomination along with a pair of another denomination in one five-card hand. 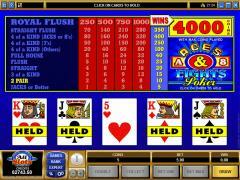 • A Flush consists of five cards of the same suit. • A Straight consists of five cards in sequence (e.g., 2-3-4-5-6) that are not of the same suit. • Four of a Kind, Three of a Kind and Two Pairs should be self-explanatory. • Jacks or Better contains a pair of Jacks or a higher denomination, along with three other cards in the hand that are "unmatched." 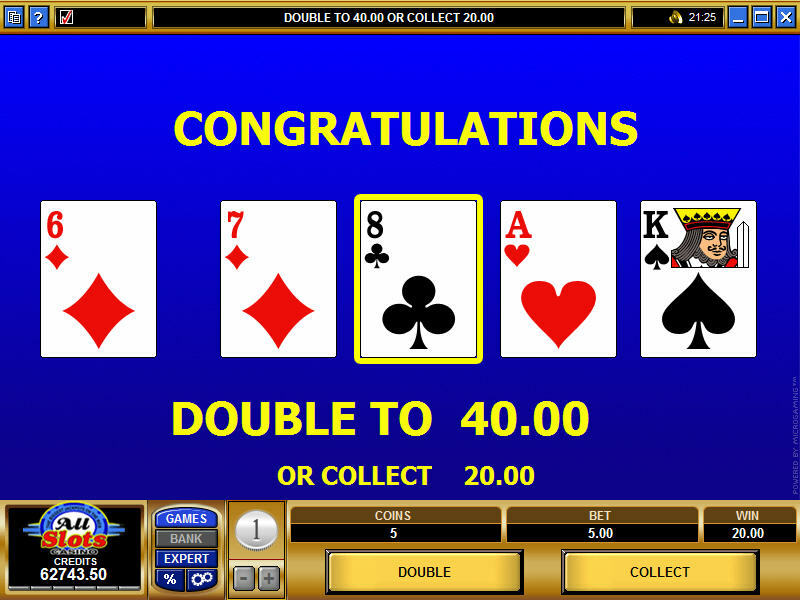 • The rules allow for a "Doubling" option, in which the player can simply collect after a win or engage with a showdown with the dealer in order to double the win amount.